Reservations are accepted from 3 months before the date of use. Submit the application for facility use approval. Prior notice is required for eating or drinking in the room. Drinking alcohol is prohibited. Cancel charge will apply to cancellations made within one month before the date of use. To cancel or change the reservation, please contact the administration office. The application may not be accepted when the purpose of use of the meeting room does not comply with that of the park. 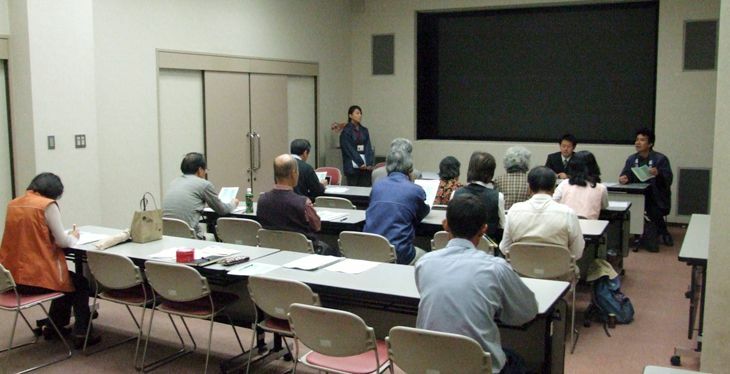 When using the meeting room in Kangetsuro Hall, admission for Suikei-en (Japanese Garden) is required.